John Will is a true pioneer in BJJ, one of the rare people outside of Brazil to have trained in BJJ almost a decade before the UFC. On top of that, he has membership in an even rarer group, the ‘Dirty Dozen’: they are the first twelve non-Brazilian black belts. Can was lucky enough to meet John Will back in 2012, before a seminar in the UK, where they talked at length about BJJ history. Sections of this interview appeared in Issue #010 of Jiu Jitsu Style and are reprinted with the kind permission of the editor. 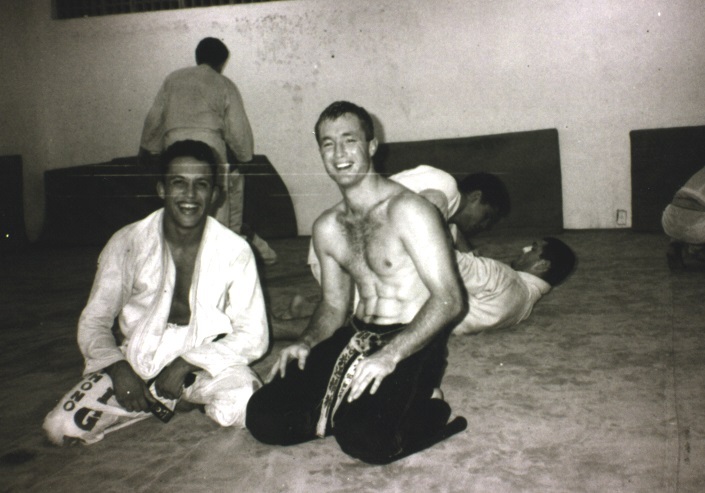 In the first of several parts, John Will talks about what it was like to train BJJ back when it was still barely known outside of its native Brazil. ARTEMIS BJJ: You’re a member of a very special group, the Dirty Dozen. Therefore I’d like to start with a number of questions about your memories of the early years of BJJ’s international expansion. To begin, I’d like to ask when you first met Rorion, and secondly what it was like being on the receiving end of his classic “try and escape my mount” introductory lesson? JOHN WILL: I was owner and editor of the Australian martial arts magazine, Blitz. I started that magazine. It was probably only two issues in, around the mid 1980s. A guy came to Australia called Marcelo Behring, and he came offering the challenge that was going around back then: $50,000 for anyone who could beat him. That was at a time when nobody was doing that, so it was quite a radical departure from the way people were behaving in the martial arts. Naturally even though it was a very small article, it was a $50,000 challenge, I was intrigued by that. I put it right at the front of the magazine, but no-one responded. You know, no-one had $50,000, but then it went $20,000, $10,000, $5000 and still no-one responded. I think the guy was out there surfing, so he just thought he’d give it a crack. I got on a plane, which was difficult for me as I didn’t have any money. I was just a dojo rat: my magazine was barely eking me a living, but that’s why I had the magazine, it was an excuse to travel. I came to America, because at least it was all tax deductible. I thought what I’m really going to do is spend my time training at the Jet Centre with Benny the Jet and different things like that. I did that, then I went out to Torrance. I thought he meant one of those Japanese kimonos, like a pink one [laughs]. What a weird request! But of course, I’ll go and I bought him a Japanese kimono! [laughs] I rocked up and that was my present for him. When he got that kimono he probably thought I was insane, but we’d never used that word, ‘kimono’. That was not a word associated with martial arts. So anyway, I rocked up out there and asked if I could do some lessons, I’ll do an interview. I put him on the front of the magazine and did all that, but it didn’t buy me any brownie points with him. In any other martial art, I would have been training for free. Not in this case: it was expensive, nearly $100 a private lesson, which was more money than I had at that time. 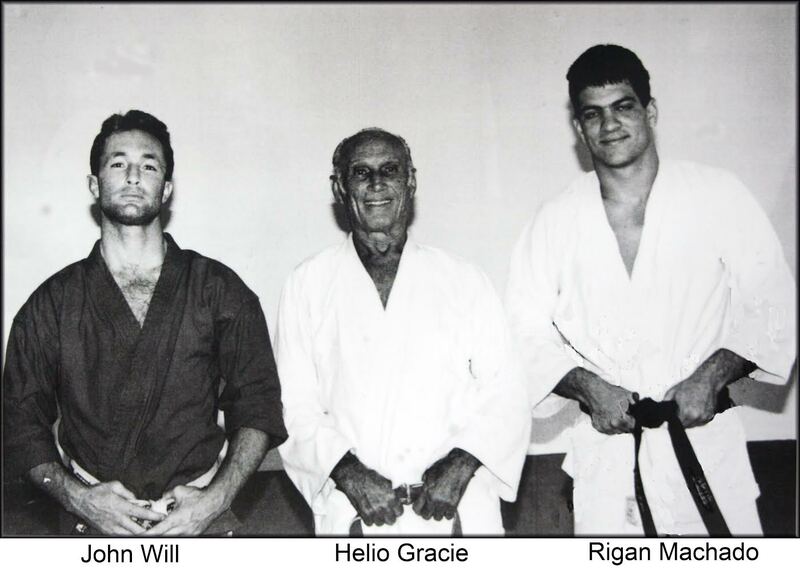 ARTEMIS BJJ: So, that would have been late 1980s? So, I lucked out and I met Rigan. He taught me my last class, which I really loved. He was really passionate about it, a national champion at the time, obviously excited to be in America. Long story short, I basically went home, with what you can imagine you would learn in five lessons: basic sweep, upa, armbar, guard pass, side control, Americana, kimura. A few other little things, headlock escapes. I saved up my money hard, became enthusiastic and made my way back there with the intention of getting an address off Rorion for Brazil. I figured that would be cheaper, so I could afford it. Not that I wouldn’t have wanted to train with him, I just seriously couldn’t afford it. He replied, “You don’t need an address in Brazil”, because by this time he had learned more English, “I’m going down in two days, come with me.” I’ve been with all of those guys ever since. ARTEMIS BJJ: That leads into the next question, as in your books, you talk a lot about Rigan. I was therefore wondering if you could talk a bit about him? JOHN WILL: I thought, this is a person I want to spend time around. I didn’t know how good he was at jiu jitsu. I mean, any blue belt would have been quite enough of a coach at that point for me, right? I only realised when I was in Rio, sitting in Barra Gracie. Back then, it was owned by several of the Machados, Carlos Gracie Jr and a woman called Danielle Dutra. So, I was sitting there and Renzo was sitting next to me. He was one of the few people who could speak fluent English. All these really great guys were coming in: Rilion Gracie, top guys who were top competitors at the time, everyone was going “ooo” and “aah” as these guys were coming through the door. So, it was purely luck as to how it went, in terms of choosing a coach. I think it is great to choose people based on “Hey, I like spending time in their company.” I did, because he was so nice and generous, all that stuff. 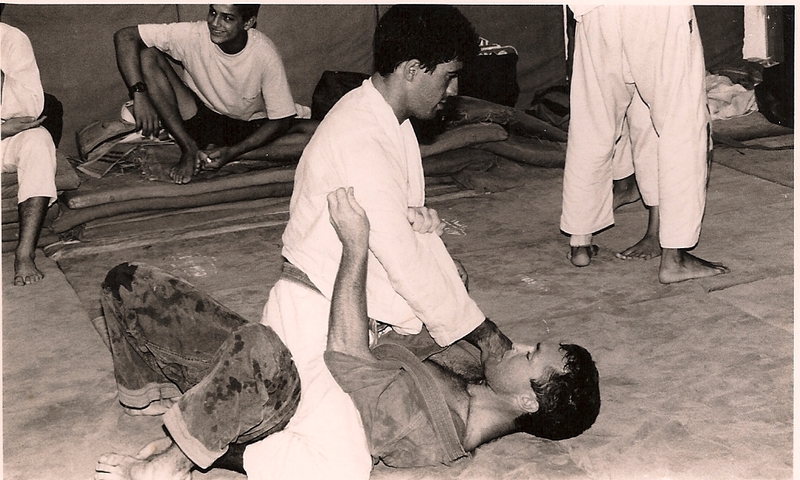 ARTEMIS BJJ: Do you remember what year it would have been when you were at Barra? ARTEMIS BJJ: So, shortly after you trained with Rorion? JOHN WILL: Correct. Within a year. I must say, Rorion and Royce and those guys, Rickson, that was my first experience. A wonderful experience, because that’s why I was inspired. It was like an injection of spirit. I really thought, “this is absolutely awesome.” It all kicked off from there.